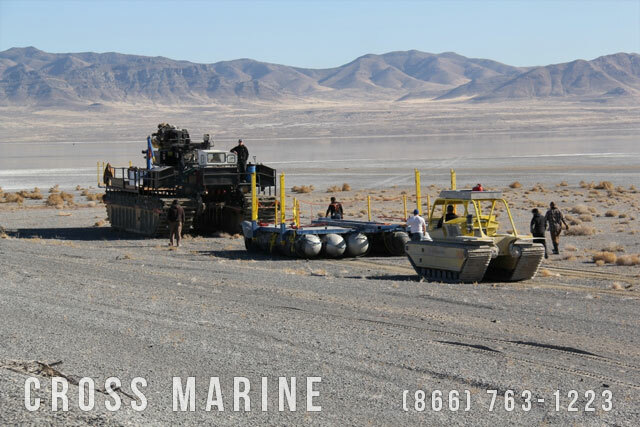 Cross Marine’s amphibious drilling rig and work platform making their way across mud flats to a shallow water drilling site. 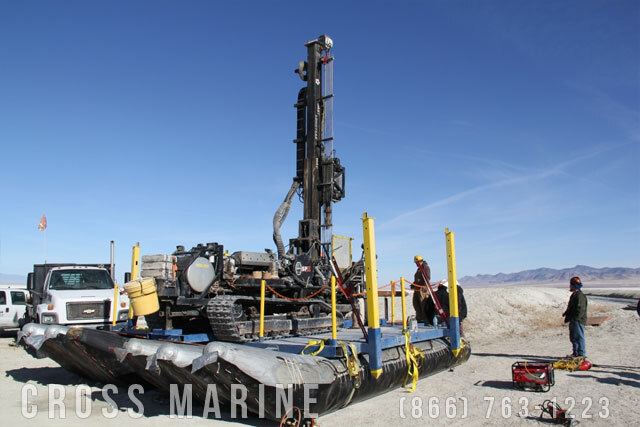 Cross Marine’s shallow draft marine drilling rig being prepared for deployment onto a shallow lake at a remote location in Utah. 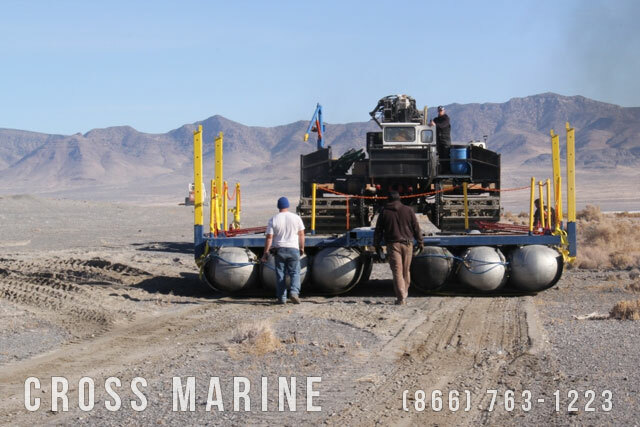 Cross Marine’s amphibious drilling rigs and support vessels cross mud flats before entering into a non-navigable shallow water lake to drill hundreds of sample holes. 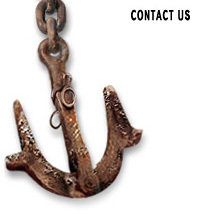 Cross Marine provides drilling support in many remote and hard to access marine environments such as marshes, swamps, shallow and deep water lakes and other marine locations. 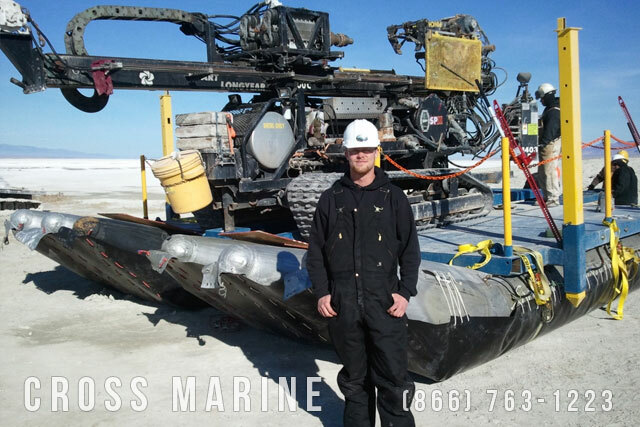 Pictured marsh drilling rig mobilizing for shallow water drilling project. 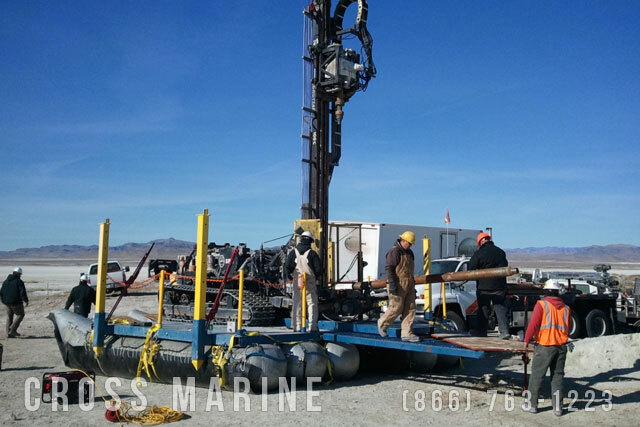 Cross Marine crews prepare a shallow water drilling rig that will be used to take samples in a shallow lake. The drilling rig and support vehicles must be able to navigate through land, thick mud, and water to reach the remote drilling locations.